Commandos in Punjab Police came into existence in the year 1989. The idea was to establish a better trained, better equipped and specialised force to combat terrorism in the State. On August 30, 1988, 33rd Battalion of PAP was raised, the basic aim behind the establishing of this battalion was to provide security to the VIPs and to replace depleted strength of PAP, on account of men placed on law and order and security duties. The 33rd battalion of PAP was renamed as PAP Commando battalion in the year of 1989 and then declared as first commando battalion in 1990. 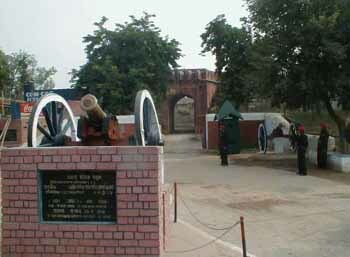 The headquarter of this battalion remained at Bahadurgarh, suburb of Patiala city (district). It is located 7 Kms from Bus stand of Patiala on Patiala-Chandigarh road.